There are many things you need to consider when choosing garden containers for your home and garden needs. Let�s start with the obvious and that is what is the planter going to be used for? 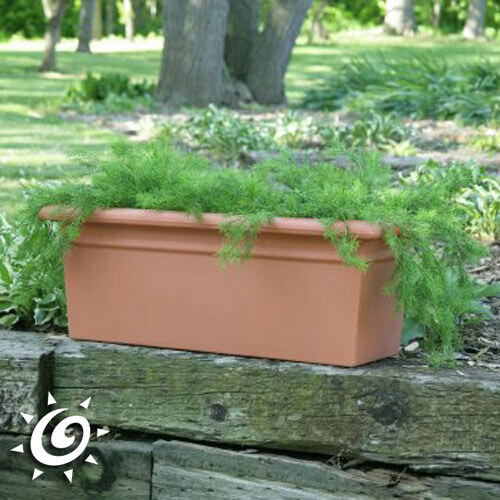 Are you looking for a garden pot to grow herbs and vegetables in? 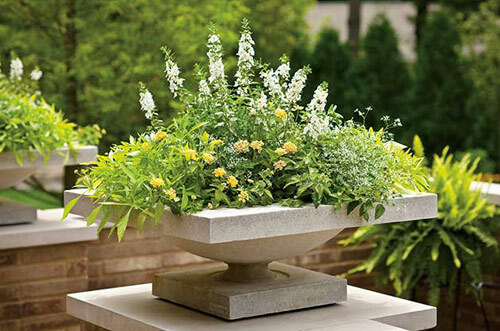 Is this planter more for beauty and décor or is it to fill a blank area on the patio or porch. 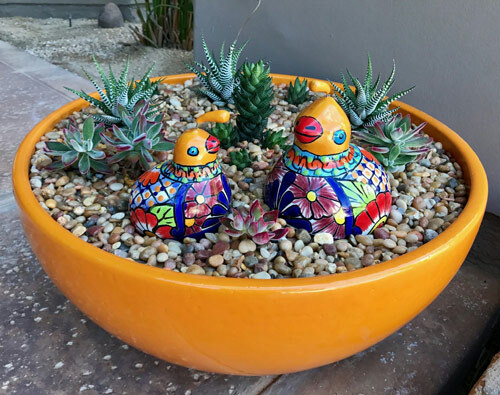 Terracotta garden pottery has been around longer than any other substance besides baskets. It is made out of clay that breathes and is considered most healthy for a plants root system. Terracotta is rustic and natural looking and comes in many styles and sizes. 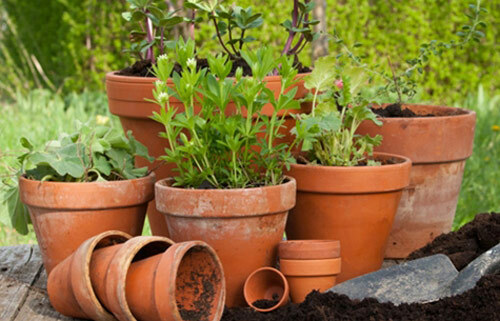 As you must know a clay garden pot can only come so large. This is because they are fired inside a kiln and kilns are only so large. The larger the clay pot the more issues with cracks forming while being fired. So, if you want a large garden planter you need to consider them made from mixes that can be poured into molds and cured over time instead of being fired in a kiln. Concrete, Sandstone and Poly Resin can all be made in huge sizes since they are made with molds. 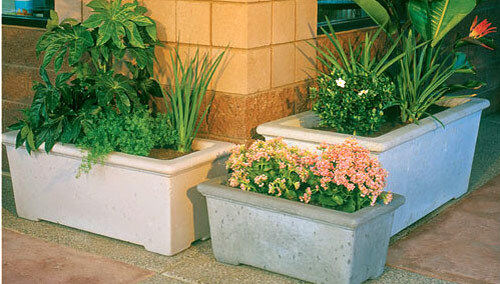 They are durable and long lasting which is what you want and need if you are using a large planter. Glazed or ceramic colored pottery is great because it comes in shiny, colors and finishes. Blue, Red, Green etc and so many more, where you can match your garden pottery to your home or landscape décor. 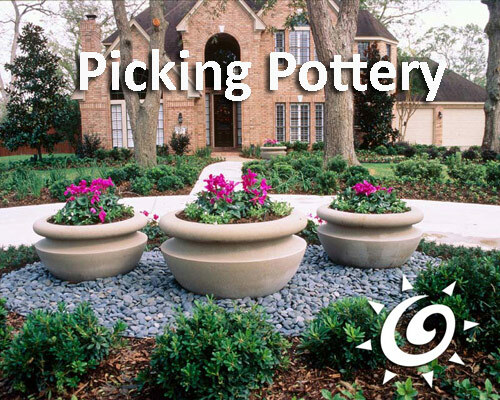 These pots are usually durable but only frost resistant which means they can�t handle the cold freezing temperatures. Glazed garden pots are perfect for indoors where they add interest and beauty along with function to your homes design and décor. Do you live in an apartment where you need a lightweight container where you can move it around, fill it up or take it with you when your needs change over time? Then poly resin is the way to go. This is not an ordinary plastic pot but a commercial grade non-fade, will never crack, chip or warp or break. With 32 color choices these are the super choice for indoors or outdoors. We hope we gave you a few things to think about. Call 800-420-1808 if you have further questions.